Just finished the first of a two week shoot for our friends at Falu Energi & Vatten. We are covering all of their business areas from the cogeneration plants in Falun to the sewage treatment in Främby and power cables in the whole municipality of Falun. Long days of shooting to cover it all, but so much fun. Especially meting all employees and learning about their daily work. Almost like being a child on a school trip. The weather's been treating us well again with the sun shining all over. Here's some stills from the week: Cheers! 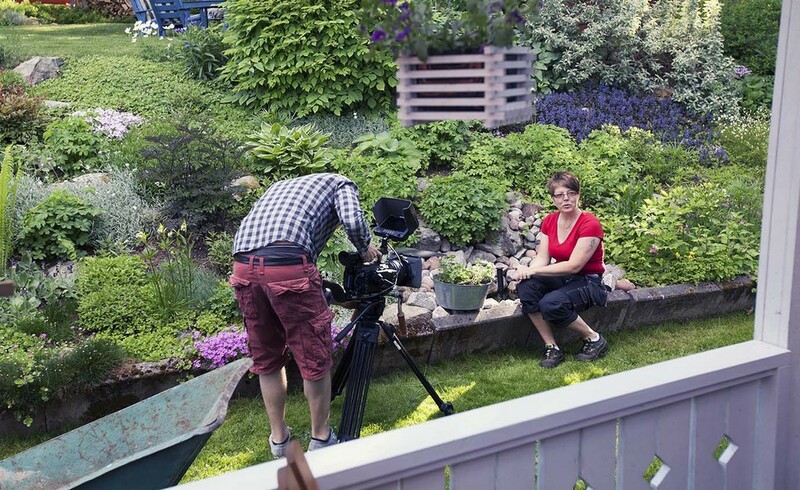 Hello folks!Last week we spent an afternoon in Monica Andersson's (Grönyte Konsult) beautiful garden shooting another Grönyte Konsult film. This time with gardening specialist Carina showing us flower scissors from Chikamasa. Good times. Editing on the way already. Expect a release pretty soon!